So, What Are the Yankees Gonna Do With Their Rotation? Everyone knew it was coming, but now it's official. 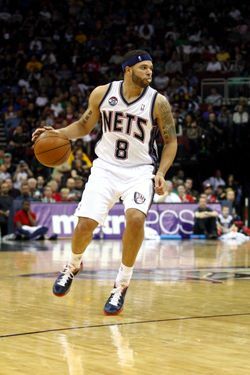 Deron Williams declined his contract option for 2012-2013, and will become a free agent on Sunday. Thus begins the Brooklyn Nets' quest to retain Williams, which has so far included a massive birthday card AND some Nets folks at Deron's birthday party. Wonderful! Meanwhile, the Dallas Mavericks continue to lurk. Dirk Nowitzki made his desire to play with Williams clear on the radio, and Delonte West engaged in his own zany brand of courtship on Twitter last night. The battle for D-Will's services begins in earnest in just a few days, and from the sound of things, won't take too much longer to reach a decision. This is a big'un for the Nets.